As I keep delving deeper into my culinary exploration it has repeatedly become clear to me that great cooking is a measure of many things. So much goes into producing a great tasting spoon, cup, or plate of food. There’s hitting all the right notes, sweet, salty, sour, bitter, and umami (savory). There’s making sure flavors meld together like cheese and bread (totally epic) or chocolate and peanut butter (even more epic). And then there’s the all encompassing component, the environment in which you enjoy your food. All these things add up to gastronomic greatness. But there is one ever so important aspect I haven’t mentioned only for the mere reason it’s so important I felt it needed its own paragraph, its own explanation. Quality. That’s it. As simple as one word may sound, it carries a whole lot of weight. Now, we are all well versed in the use of the word. ‘Yeah they were pricey, but man the Quality is tops’. ‘It’s Quality that counts here, not quantity’, ‘we need Quality time pronto, if we want to save this relationship’. You get the point, see Quality does matter. In order to achieve greatness one must begin by analyzing the sum of the parts going into the whole. You may be wondering, where is she going with all this. The simple fact is, if you start with good quality ingredients you are already half way into great food. And when thinking of quality ingredients let’s not immediately run down this common way of thought, ‘well it costs more so it means it’s great quality’….NO. NO. NO. This has very little to do with it. To me, for instance, it means when you pick up a tomato it smells like tomato even before slicing it open. It’s firm but tender to the touch. It gleams with red shininess. Now that’s a Quality tomato. So when you begin to focus on very basic rudimentary things like quality, you then begin to understand that cooking is not all that hard. I mean yes there’s the need and valuable use of learning applied technique and all that fancy stuff. But really, it all starts from simple things. In your inbox you probably see emails from friends, family, your daily doses of Gilt or Haute, and your usual spam visitors. For me, my inbox is jammed with food blog subscriptions, food forum subscriptions, and random recipes I find online. So there doesn’t go a day that I don’t read a recipe. And what i’ve been noticing is that Salt & Pepper are always in recipes either together or apart. The part that’s been brewing in my head lately is Pepper. Most of the time when I see it in recipes it goes like this: add ‘freshly’ ground pepper. It didn’t hit me until recently why they say ‘fresh’ ground pepper. My mom was giving me her usual kitchen advice. You know how that goes. ‘Mi’ja you can’t pour hot oil into a plastic container or you’ll melt it’ or ‘Mi’ja you gotta add more salt ’cause i’m sorry to tell you, it’s bland and taste like hospital food’. On this round of mom-advice, she took it up with how important it is to use Dominican Oregano. She was quite emotional about it too. It’s as if you used any other kind the world would end and all food would taste like nothing. And the truth is, she was write about the oregano. It took me a lot of thinking to figure out or at least justify to myself why it’s better than the average stuff you find in a bottle. It’s sooooo less processed than the jarred stuff. The less processed your food is, the better it is for you and the better it usually tastes. This all got me to thinking about Pepper. AHA! that’s why they say use ‘freshly’ ground pepper. It tastes better. Now don’t get me wrong pepper from a jar is good for what it’s worth, easy quick sprinkles into eggs, steak, or mashed potatoes. 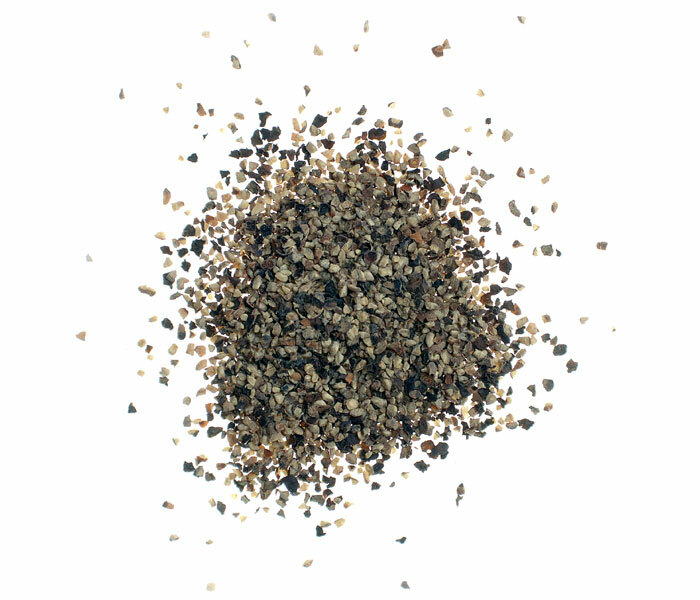 But once you taste freshly ground pepper it is hard to go back. For some time i’ve been wanting a Pepper Mill. 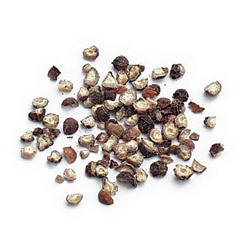 You take whole peppercorns which can be easily found in a supermarket aisle and run it through the mill and presto, you’ve got fresh pepper in seconds. Coincidentally this is what makes dining out extra special too, “Madam, fresh pepper for your steak?”. Its fresh taste and fragrance add the finishing touch to many dishes…even some sweet ones. I’m on a hunt for my very first Pepper Mill. I want one that is nice looking. One that gives me the option of having my pepper milled fine or course. And I want one that is decently priced. Do any of you have recommendations? ← Thank you Julia Child.